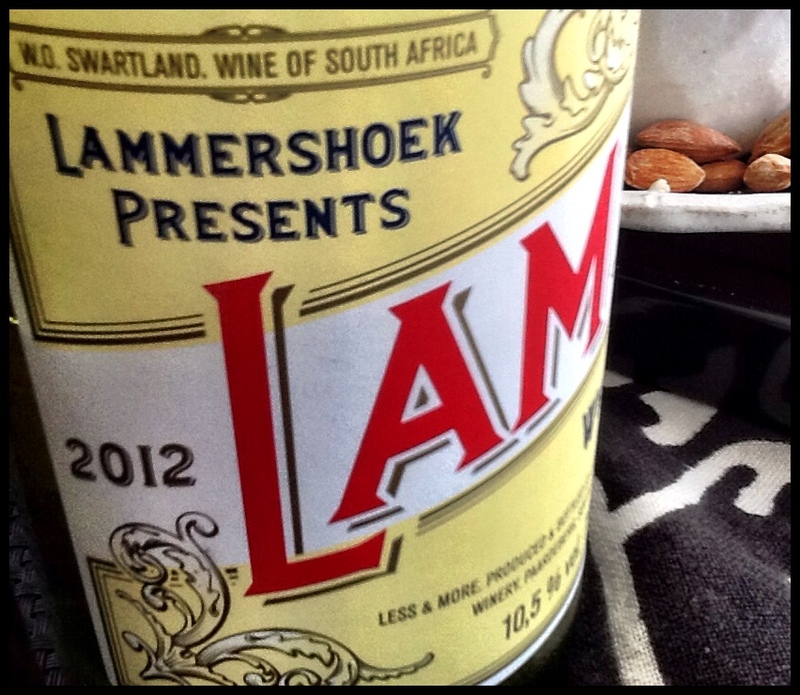 Lammershoek, Lam, White, Paardeberg, WO Swartland, South Africa, 2012, 10.5% abv. 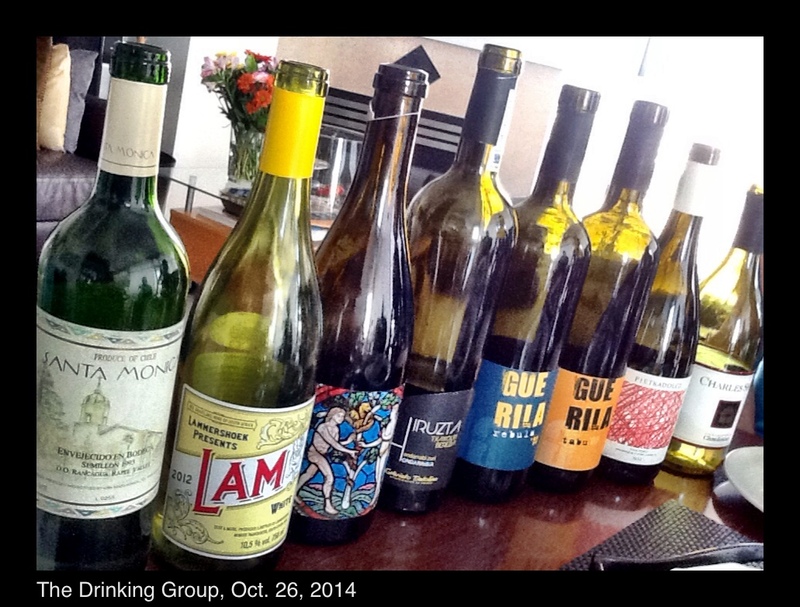 This was an awesome South African addition to The Drinking Group‘s afternoon get together. The bottle got us all excited just for starters being a Lillet lookalike. Lammershoek dry farms some 40+ year old bush-trained vines on granitic soils. The 2012 vintage was drier than usual, so the vines were especially stressed and the fruit concentrated. The grapes were 100% whole bunch pressed and no fining was carried out on this wine that was aged in concrete. A beautiful shade of pale gold, the Lam White has serious aromas of ripe Macintosh apples, apples and apples. The Chenin Blanc (38%) comes shining through, followed by some peachy Viognier (33%) notes with lemon drop and honey (Chardonnay 24%). A WSET Good plus wine, this is a great wine for light lunches and brunches – or just general imbibing. The alcohol is only 10.5% abv making it super addictive and lovely to drink. This entry was posted in Chardonnay, Chenin Blanc, OTHER, South Africa, Viognier, WHITE and tagged chardonnay, chenin blanc, Lam, Lammershoek, Paardeberg, South Africa, Swartland, viognier, white wine. Bookmark the permalink.